It's been quite long since the previous update about the game. This has been mostly due the fact that all the time has been spent on porting the game from Irrlicht to Unity. The work has so far mostly been on the internal parts which means that there hasn't been that much to show. However, here's now a small list of what is operational and how things have been progressing so far. There have also been some gameplay affecting changes that will be detailed as well. So far the Unity-version of the client can load up most of the map format. This still excludes dynamic animated objects like water wheels etc. Also the foliage is missing as well. Player movement is now much smoother than it was before thanks to real physics engine. This also allowed jumping to work much better and look synchronized between players. NPCs and monsters also show up and move around smoothly. So far also the chat channels have been implemented. The new chat window can be scaled easily by dragging around from the upper left corner which increases the user friendliness a lot. Currently the work is mostly being directed towards getting the skill execution and combat messages working. 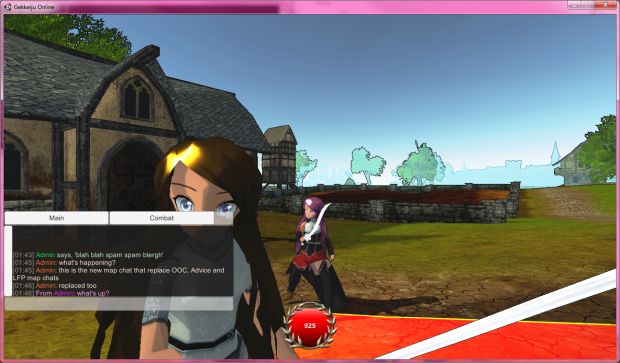 This will also allow some changes to be made to the combat system. New versions of the game almost never happen without some other major changes even to the gameplay. This time the game is taking steps towards more PvP-oriented gameplay and also borrowing a lot from MOBA-style games. The reason for this is the fact that Gekkeiju's combat and PvP have always been pretty boring in the end. With these upcoming changes the plan is to step up the game. In the future the game will offer an external PvP-system that allows players to jump right in regardless of their progress in the PvE-content. This will increase the playability of the game even after players have gotten annoyed or tired of the PvE. Thanks to these PvP-changes the skill-system will also change slightly. The plan is to make certain skills "mutate" based on the wielded weapons. For a long time weapons in Gekkeiju have had no real differences other than how they look. This change will make all weapon types work differently for each character class - thus increasing their usability and adding more ways to customize the character builds. For example a hammer might stun players while a dagger could add damage over time bleeding to the target. You may also have noticed the lack of the energy/mana-bar in the screenshots. Since our skills have cooldowns already it was decided that the energy isn't really necessary any longer. However, different classes will still have their own energy-meters in the form of the combo-systems. All in all, there's some very interesting changes coming up. Stay tuned for more! The Public Alpha Test sign up has opened. Also lots of new features were added to the game. The next Public Alpha test date has been decided. 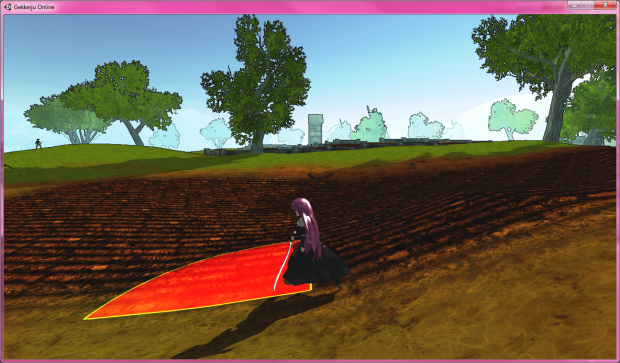 Also some new features were implemented. Lots of new features were added during the past 2 months including trading and clerics. It's time for the first update of the year! The past month was really busy with the public alpha test weekend. Hello there wanted to know if gekkeiju will be back in 2019, i really want to play that game again. It was a very unique game. I really love the combat system where level was not important as long you have the right equipment you can win. It also had a nice community where everyone knew each other. Also which make the game more fun it was you can pk anyone you want without been punished by a penalty. Or if you want to become a hero among the community you can spend time killing pker. 2019 is likely too early to say anything. 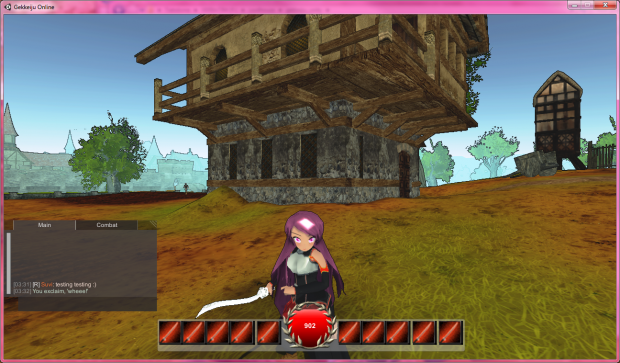 But I can mention that there has been talks on bringing the game back in beta 3-style arpg-ish way. Whether this will happen and whether the name will stay the same remains to be seen. It's on hiatus currently - the old version is still up and running though. Could you explain why it's not being worked on anymore? I was looking forward to it since the first couple vids uploaded on youtube and hoped that it would turn out well. Anything you need help with? There were many reasons, most importantly the lack of time and the fact that the conversion to Unity kinda hit some performance issues with the way the world map was created. The idea is to start working on the project in a slightly smaller scale and make it more pvp oriented. Basically getting back to how the game was before the latest version. When this will happen depends entirely on whenever I'll have more time and energy to work on hobby projects. When will there be another alpha test?